The narrative, such as it is takes an almost diary like approach to all of Satriani’s musical endeavours, asking the producers, mixers, technicians, and musicians who were also involved in the making of the albums for their knowledge of Satriani’s working methods. We skim slightly over Joe’s childhood, and his monumental decision to give up team sports to become a guitarist on September 18th, 1970. The day that Jimi Hendrix died. We are given a rarified glimpse into the live music scene of 1970’s San Francisco, where Satriani was struggling to get noticed in the popular trio The Squares, and how during a break from band commitments, he put together his first release At the time, he was also a guitar teacher, teaching such future famous players such as Metalica’s Kirk Hammett,. Guitar virtuoso Steve Vai, and Counting Crow’s David Bryson how to play what is still one of the most popular instruments in the world. Not everyone who picks up a guitar becomes a genre defining musician, but some of what is needed, in terms of dedication, treating music as an art form, not as a disposable commodity, and pure luck is shared in this book. We see that Satriani is an all round musician, able to play and write fun rock and roll pieces, such as Satch Boogie, the doom laden Ice 9, or the popular ballad Always with Me, Always with You, and find space for them on his first proper release, Surfing with the Alien, which changed how instrumental rock music was recorded, and more importantly, marketed. We see how each subsequent release improved on Satriani’s art, reliant at different times on computers, drum machines or live musicians to bring the sounds he heard in his head to fruition. So, as aluded to earlier, this book will not be for everyone. 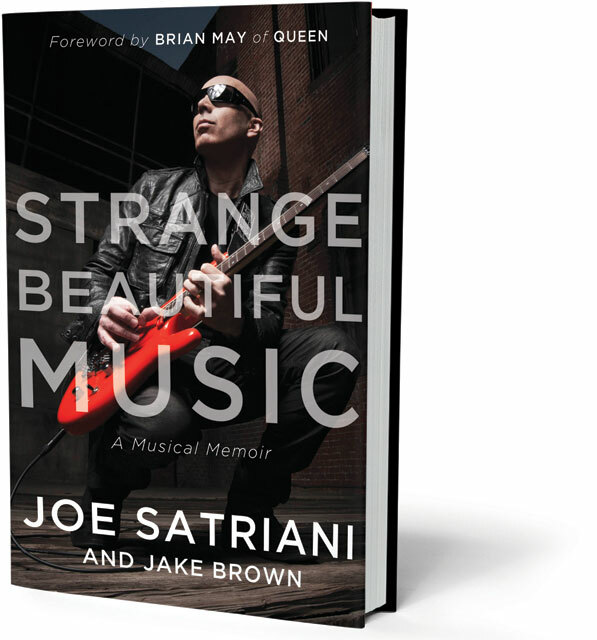 It is a good and interesting read for any fans of Satriani himself, rock guitar and the recording studio in particular, but as with most musicians, the best evidence for the art is in the music, the recordings, and the live stage. My best friend is a guitar player and turned me onto Satriani a long time ago. Guitar musicians themselves are keenly able to appreciate what Satriani has created, and how he has created. But even for a dumb high school drummer such as myself, who is largely ignorant on the difficulty and accomplishment of perfection in the guitar craft, I still immensely appreciated the songs–the tune in itself, the articularity, and the power. My favorite song is “Hordes of Locusts”. Lol. Thanks for the review, Ben!